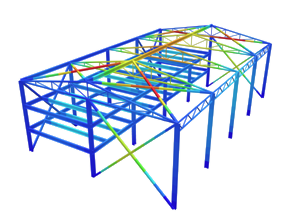 SkyCiv Structural 3D is a fully inclusive Structural Analysis software that allows users to build and analyze complex 3D models using 1D and 2D elements. Watch the following demo, as we take you through a full example of how to use the Structural Analysis software. Includes; building your model, solving the structure, reviewing the results, using the 3D Renderer and generating a custom report.